In 1967, the newly-formed American Film Institute released a preliminary list of 150 significant feature films that were considered endangered, already lost, or thought to survive only in substandard copies. 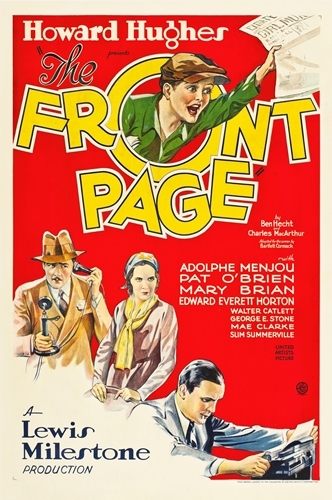 Lewis Milestone’s 1931 adaptation of The Front Page was among the titles at risk. Based on the reviews that greeted The Front Page in 1931, it’s sobering to recognize that the survival of such a highly-regarded film could be in doubt scarcely four decades later. To put that in perspective, it would be as if no one could readily ascertain whether a single copy of a film like Reds or Atlantic City still existed in 2017.